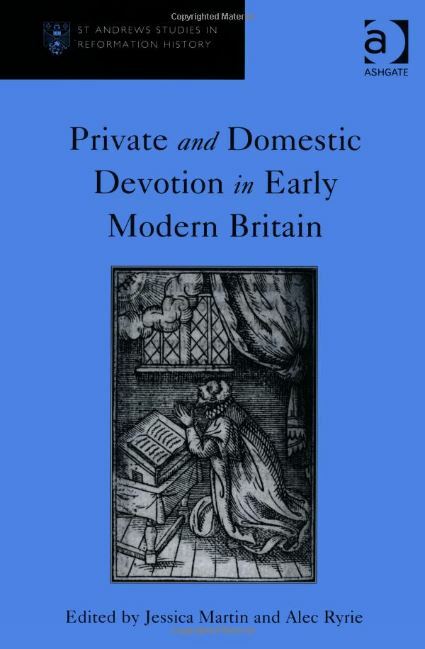 My review of Private and Domestic Devotion in Early Modern Britain, a volume of essays edited by Jessica Martin and Alec Ryrie, has just appeared in the latest issue of Anaphora, the journal of the Society for Liturgical Study. The book is part of Ashgate’s St Andrew’s Studies in Reformation History series, and is one of the first to be dedicated to the theme of domestic, as opposed to public prayer in the Reformation period. The review can be found in Anaphora 8.1, pp. 74-77. This entry was posted on July 18, 2014 by jacobite.